Sarah Philpott, PhD, lives on a cattle farm in Tennessee. She is the mother of three young children and wife to one hard workin’ farmer (who has been her sweetheart since high school). 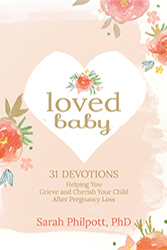 Sarah is a former elementary teacher and went on to earn her PhD at the University of Tennessee Sarah’s first book Loved Baby: 31 Devotions Helping You Grieve and Cherish Your Child After Pregnancy Loss was published in October of 2017. She’s also co-authored a guide for teachers titled Swashbuckling Social Studies: Drama Activities and Creative Writing to Make Social Studies Come Alive that released in November of 2017. She is an award-winning writer and award-winning blogger who has contributed to numerous academic books such as Contemporary Social Studies: An Essential Reader and has been published in scholarly journals such as Social Studies and the Young Learner. Sarah is a TODAY Show Parenting Blogger also contributes to places such as the Huffington Post, Her View from Home, BonBon Break, Bethany Christian Services, and Pregnant Chicken. These days, Sarah happily chooses to be a stay-at-home mom who writes and spends her days cleaning peanut butter and jelly off the counter, dreaming of traveling the world, hosting “get-togethers” for her friends and family, and chasing her kids around the farm. She doesn’t believe in sharing desserts. Life is too short to share chocolate! Sarah is a lover of big earrings, black coffee, front-porch rocking chairs, star-gazing, river days, Doris Day, and all things Hemingway. Cherishing the life God has provided is her mantra. Sarah is also the founder of the Loved Baby pregnancy loss support group and the #HonorAllMoms Mother’s Day movement. 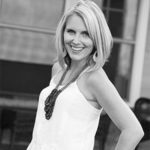 Visit with Sarah at allamericanmom.net where she writes about life on the farm and cherishing life in joy and sorrow. 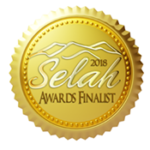 The Blythe Daniel agency has invested in me as an author and a Christian communicator. The expertise of Blythe and this agency took Loved Baby from being an idea to becoming a hardback traditionally published book.